Kansas City’s history is rich and colorful. Explore these historic homes and make a day of it. 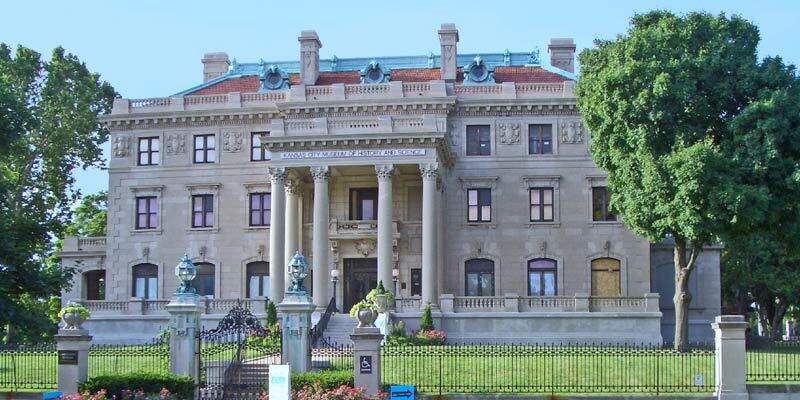 Unearth the city’s past at the Kansas City Museum at Corinthian Hall. Constructed as the family home of lumber tycoon Robert A. Long in 1910, this 70-room historical estate now celebrates the history of Kansas City. The collection represents a unique sampling of both ordinary and extravagant artifacts that represent life in the early 20th century. For Wild West enthusiasts, a guided tour of the Jesse James Farm & Museum is a must-see. Revisit the legend of the infamous outlaw by viewing his birthplace and original gravesite. Want more? Head 15 minutes south to the Jesse James Bank Museum, the site of the first U.S. daylight, peacetime bank robbery. Enjoy afternoon tea and a slice of famous povitica at the Strawberry Hill Museum. A celebration of this neighborhood’s history and Slavic heritage, the mansion was previously a Victorian home built in 1887. Don’t miss the the many culturally relevant artifacts, including the TWA bed Pope John Paul II used on his flights to the U.S.